Begin making healthy changes three months to a year before you conceive. The evidence shows that healthy nutrition and fertility is linked for both men and women. 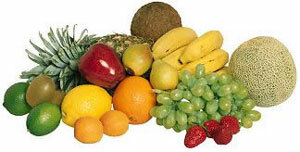 Below is a list of suggestions for healthy nutrition prior to conception. Folic Acid: It is recommended that women of childbearing age obtain 400 micrograms (0.4 milligrams) of folate or folic acid each day. This B vitamin helps reduce a baby's risk of neural-tube birth defects such as spina bifida. If your family has a history of neural-tube defects, your doctor may increase your daily intake. Folic Acid may be obtained naturally through dark green leafy vegetables (i.e. spinach), citrus fruits, nuts, legumes, whole grains, and fortified breads and cereals, and these foods can be supplemented with a prenatal vitamin which usually contains 800mcg of folic acid. Folic acid is a water-soluble vitamin allowing your body to flush out excess amounts. Caffeine: It is important to wean yourself off of caffeine (including chocolate), because research has shown that more than 300 milligrams of caffeine per day may reduce fertility by 27 percent. Caffeine also impedes upon the body's ability to absorb iron and calcium. Good nutrition will help you and may well increase your chances of conceiving.Boost your intake of important vitamins and minerals by including plenty of fresh produce, such as vegetables, fruits, nuts, beand, seeds and salads in your daily diet. Replacing your morning coffee with fruit juice and a breakfast of wholegrain cereal would be a kinder start to the day, and try to eat lunch away from your desk at work. Prolonged stress, work-related or otherwise, may affect your chances of conceiving, so spend time enjoying the company of your partner. If you do eat out, choose vegetable-based dishes and a portion of fresh salad or fruit as a starter. A short detox programme might help you cleanse your cells of toxins. Giving up cigarettes, coffee and alcohol now would also help greatly in this respect, but don't try to conceive during a detox programme. You could also consider one of the prenatal supplement formulas currently available. Omega-3 and 6, found in oily fish, seeds, nuts and avocados, help maintain cells and manufacture hormones, and the role of water and water-holding foods such as vegetables , fruits and grains, cannot be overstated - drink bottled or filtered water regularly throughout the day. If you do become pregnant, consult your doctor for advice on taking supplements and natural remedies.